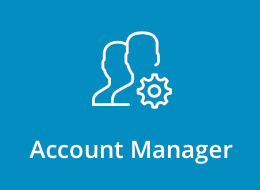 This section covers changing user, admin or reseller passwords. Type in the Username of the User/ Reseller/ Admin and enter the new password, then click "Submit" button. Note: This changes the password for the control panel login and primary e-mail account login only. The User's main FTP account has to be changed manually through the User panel (FTP Accounts menu). 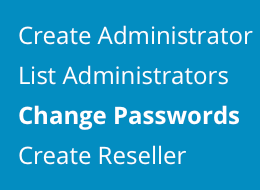 The change password feature is also available in the Show All/List users sections, but the Change User passwords link was created directly on the main page of the Reseller panel for your convenience.